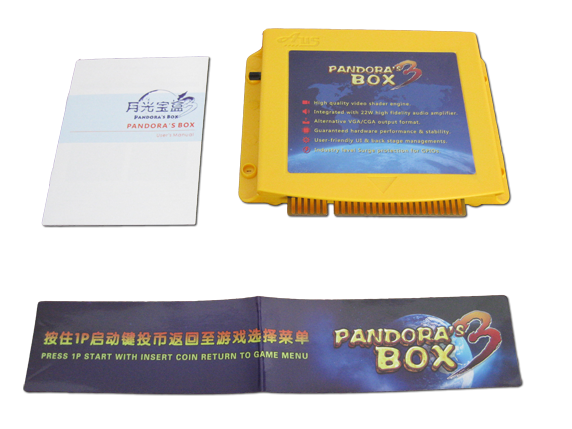 Pandora's Box 3 is a multi PCB with 520 arcade classics including most SNK and Capcom titles. Games can be selected via a graphical front end, that show previews of all games. It is easy to install in a JAMMA Arcade system and supports CGA en VGA monitors. Please contact us for more information and ordering Pandora's Box 3.